Whistle Pig 10yo Straight Rye Whiskey (50.0%): Next sample from the #DavinTT2 Canadian Whisky prize basket is Whistle Pig 10yo, 100% straight rye whiskey. 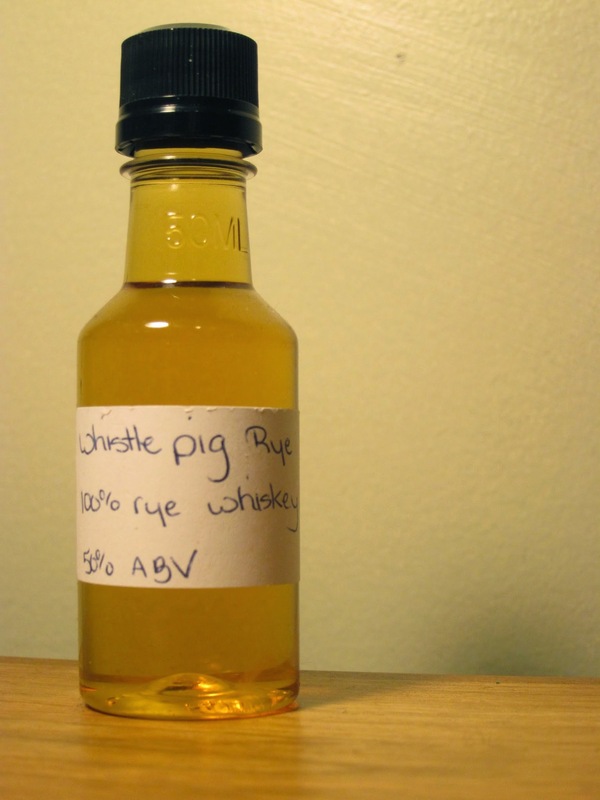 After its launch back in 2010 Whistle Pig created quite a buzz among whisky people about the unknown (hidden) origins of the spirit in the bottle. The controversy continued for a long time but I think it is mostly settled these days... The brand owner Raj Bhakta finally admitted officially that the whisky is distilled by Canada's Alberta Distillers and everybody calmed down a little. Very first releases of this whisky were all matured in Canada but so far I know the latest bottling have at least four years of aging at Whistle Pig Farm in Vermont. Whistle Pig also announced that they have a business plan for the near future to contract different distilleries both in US and Canada for new make rye spirits to age exclusively on theri own property in Vermont but for the moment what we have in the bottle is 100% Canadian whisky. If you want to learn more in detail about the story of Whistle Pig you should take a look at the latest post of Davin De Kergommeaux at Whisky Advocate Blog. Now if you don't mind I would like to jump ahead and taste the whisky. Color: Orange blossom honey, polished copper. Nose: Very floral first: Heather, wildflower honey, lavender and jonquils. After allowing it air a little, toasted oak staves, toffee and butterscotch aromas emerge. Adding water releases some beautiful bubblegum and spearmint aromas as well. Palate: More vegetal and herbal you would expect after that massive floral nose. Pine nuts, rosemary and oregano. Belgian endives, dandelion leaves, fresh green banana peppers and dried parsley leaves. Water adds some confectioners sugar and sweetened sap gum but also makes the mouth feel a little thinner. Finish: Medium long with toasted wood and cracked green pepper corns. Overall: Since I first tasted this dram back in 2010 I liked it very much and I still do but to be honest I also always had an issue with its price tag. I still think that it is hard to justify the $70 price, no matter how good the juice in the bottle is. Probably that's why I never owned a bottle. I am looking forward to see the changes in future releases though. It will be a fun thing to follow how the whisky will change after spending more and more time in Vermont and also with the new contracts Whistle Pig is planning to have.